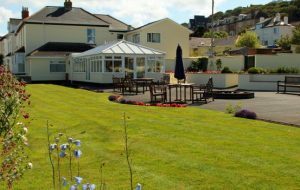 Golden Sands is a privately run residential home offering care for 16 Residents in a relaxed professional environment and are registered with the Care Quality Commission. The Directors Jackie and Robert Thisby along with their daughter Laura purchased the Golden Sands in 2001. The property has undergone extensive refurbishment to bring it up to its current high standard, whilst still retaining its friendly, homely atmosphere. They continue to maintain a keen interest in the home and visit daily. The Manager is Kelly Saye, employed by Riverbank Care since 2005. Trained carers are on duty at all times. Golden Sands offers permanent, respite, day care and short breaks and as we are a small home we are able to give compassionate, quality care with an emphasis on the individuality of each resident. Our home is served by local General Practitioners and residents are encouraged to remain with their own personal doctor where possible. When a Resident joins us, our Activities Organiser likes to complete a brief history folder enabling all our staff to know something about the new resident’s life. This includes the resident’s hobbies, interests, likes and dislikes, and enables us to offer quality activities on a daily basis tailored to suit the individual’s requirements. Our aims and objectives are to provide secure first class care at all times in a discrete, sensitive and supportive manner.